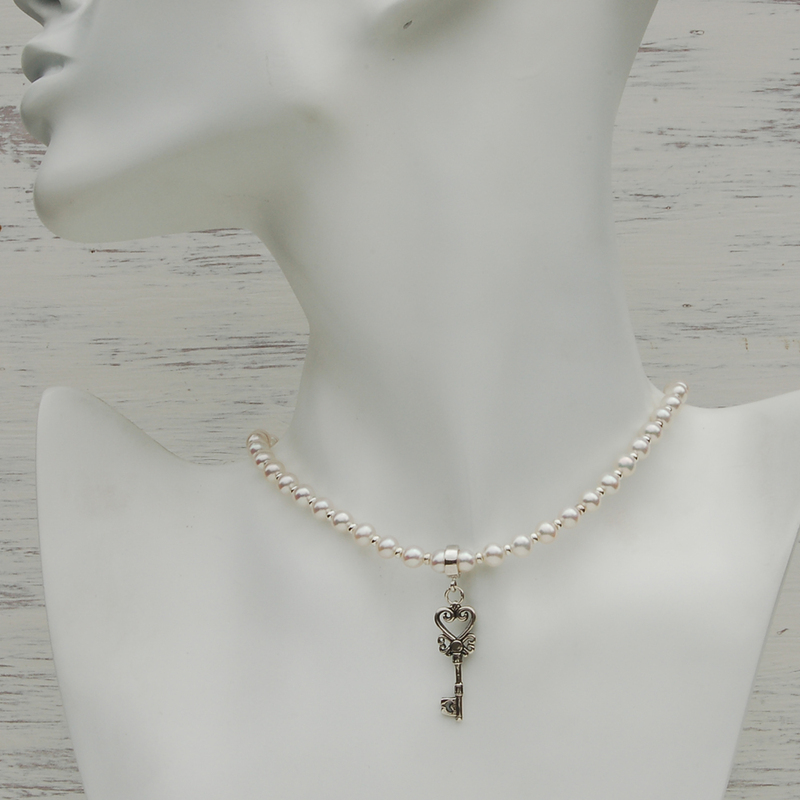 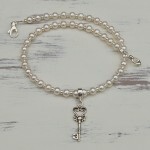 An elegant freshwater pearl and sterling silver key charm necklace that would grace any women's jewellery box. 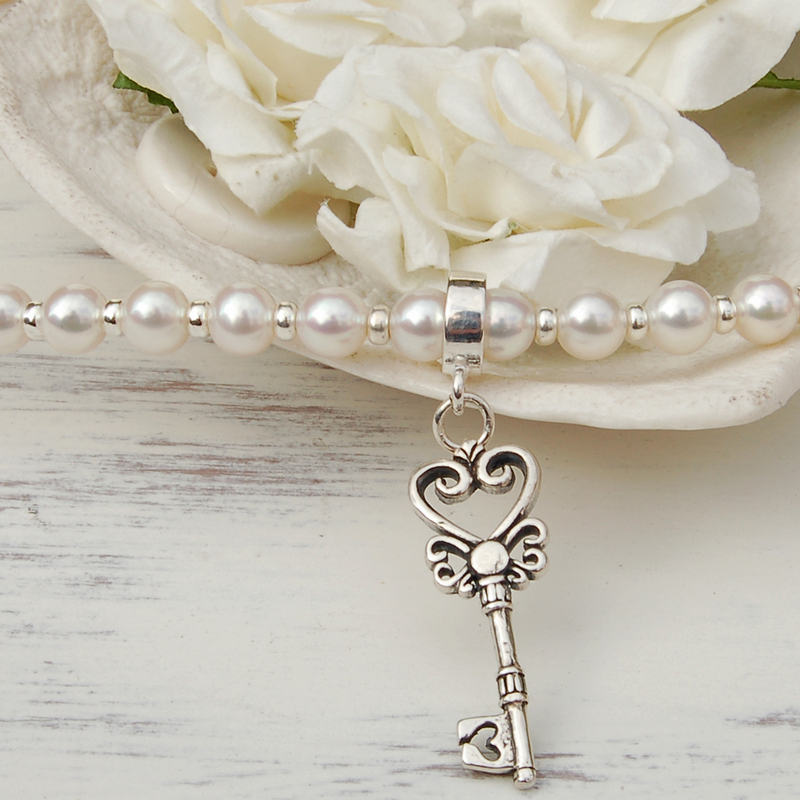 This sumptuous freshwater pearl and sterling silver key charm necklace is designed for everyday wear as well as for those special ocassions. 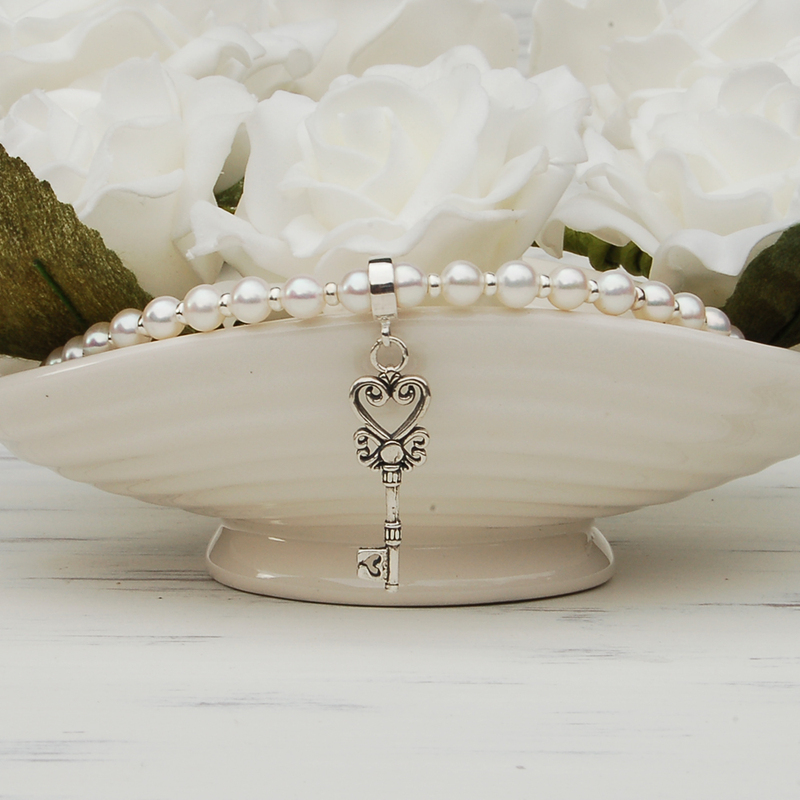 This necklace can be for the bride to be or for any women attending a wedding such as the bridesmaid to the mother of the bride. This necklace can also be for any special ocassion such as Birthday’s, Valentine’s Day, Mother’s Day, or even a special present for a girlfriend. Here at IndiviJewels we design and make all our own Jewellery in our workshop so if you would like a custom design made or a little change to this design then please just contact us and we will see what we can do for you. 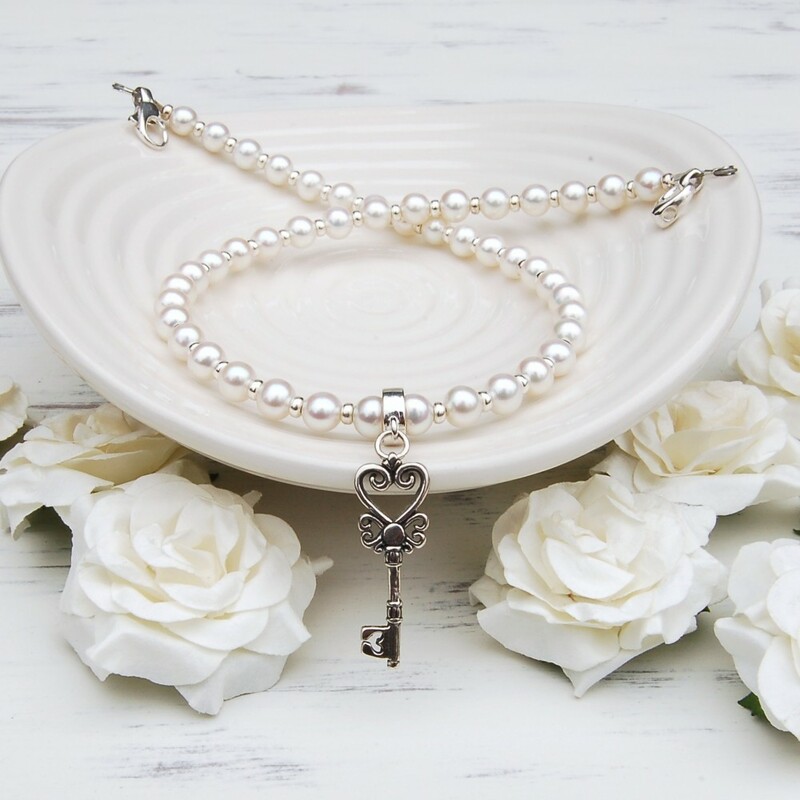 This necklace is made with 6.5-7.0 mm round white/creamy AA grade freshwater Pearls that have a rosy overtone and a super high luster. 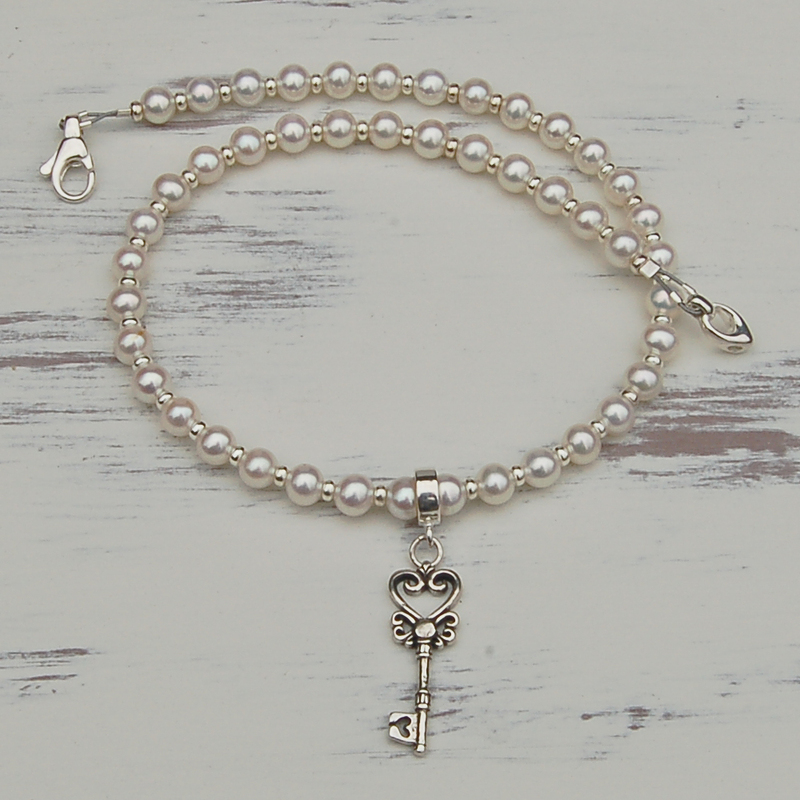 All the silver is sterling which include some lovely rondelles that are used as spacers to give the necklace a classy look. 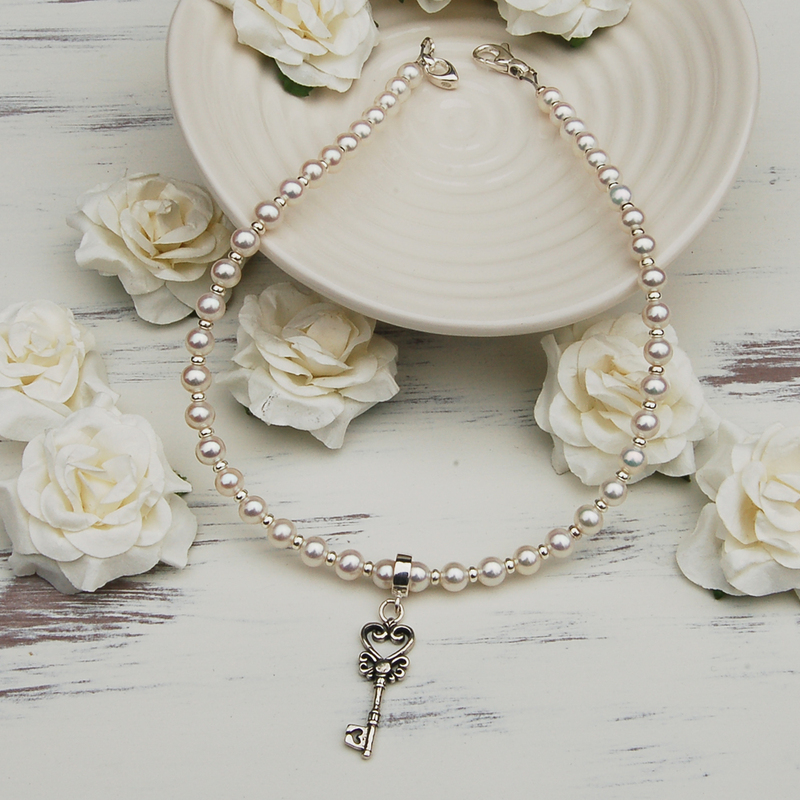 The clasp is nice chunky carabiner clasp and finally the Key charm is a beautiful intricate design that is oxisdised to show off the ornate charm. The length of the key charm is 3.5cm which is from the top of the loop on the charm holder to the bottom of the charm.